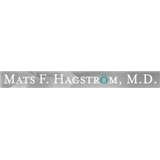 Mats Hagstrom MD (San Francisco) - Book Appointment Online! During your consultation we will discuss your goals and expectations for the procedure and what your desired outcome would be. You may also be asked about medical conditions, drug allergies, current medication use, previous surgeries. The doctor will discuss what procedure will most likely get your desired result and will show photos representing these procedures.